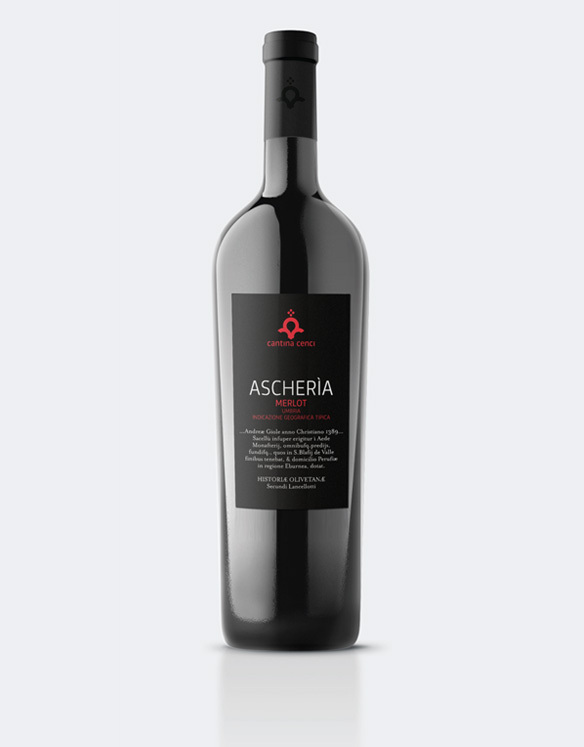 “Ascheria” is the original name of the Merlot grape variety that has no French origins but comes from the Basque Country. VINEYARD: Approximately one hectare 3×0.90 m planting, planted 2001 Exposure: north-south. YELD: Grape 60q/ha. Wine 50%. WINEMAKING: Destemming only. Fermentation with maceration inopen barriques, for approximately 20 days, without temperatur control.